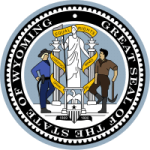 Through the department of family services in Wyoming, parents can file a complaint regarding to the payment of child support. It is not a new thing to find yourself in a situation whereby you are no longer receiving child support payments from the noncustodial parent. If this is the case, then you have a right to ask for help from the department. They will help you to reclaim the amount that is due and also the paying parent will be subjected to a penalty after investigations are carried out. Step 2: Fill in the details of the custodial, noncustodial parent and the children that need support. Step 3: Sign it at the bottom. Step 4: Send it to any addresses below for the child support office in your area.